Dan Brown is the author of a quartet of best-selling mysteries featuring Harvard Professor Robert Langdon as the protagonist. The phenomenally-popular novels have sold over 100 million copies and counting, with the fifth in the series slated to be released in the fall of 2017. Screen versions of the first two Robert Langdon books, The Da Vinci Code (2006) and Angels & Demons (2009), netted over a billion dollars at the box office. So, it's no surprise that another adaptation might be in order. Inferno reunites director Ron Howard with Tom Hanks who reprises his lead role as a genius with an uncanny knack for deciphering ancient symbols and religious iconography. And Howard enlisted the assistance of a stellar support cast which includes Ben Foster, Felicity Jones, Irrfan Khan and Omar Sy. Inferno is easily the most successful of the offerings, as it reins in Langdon's earlier tendency to overindulgence in inscrutable jargon. This go round, the intellectual badinage has been minimized to make way for a flurry of visually-captivating action sequences. Another plus is the easy to follow plotline. The point of departure is a hospital in Florence, Italy which is where we find Langdon suffering from amnesia yet lucky to be alive given how a bullet to the head only grazed his scalp. Before we even have a chance to blink, a gun-toting assassin (Ana Ularu) arrives to finish the job. Fortunately, Langdon's gorgeous doctor, Sienna Brooks (Jones), not only helps him escape on the spot, but is prepared to abandon her practice to go on the run with her traumatized patient. As it turns out, the hit woman was part of a much larger conspiracy. 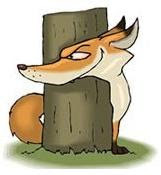 For, she was merely doing the bidding of Bertrand Zobrist (Foster), an evil billionaire on the verge of hatching a disturbing solution for the world's overpopulation problem. Essentially, the madman's plan is to unleash a lethal virus designed to kill half the people on the planet in less than a week. That sets the stage for Langdon and Sienna's dizzying race against time to unearth a cornucopia of clues enabling them to track down and disarm the diabolical Zobrist. That in a nutshell is the sum and substance of Inferno, except for a humdinger of a twist it would be unfair to spoil. Easily, the most accessible, engaging, entertaining and cinematic adaptation of a Dan Brown thriller yet! 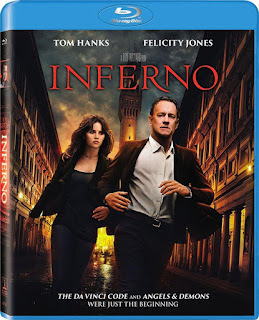 Blu-ray Extras: Deleted and extended scenes; Ron Howard: A Director's Journal; A Look at Langdon; The Billionaire Villain: Bertrand Zobrist; This Is Sienna Brooks; Inferno around the World; and Vision of Hell.